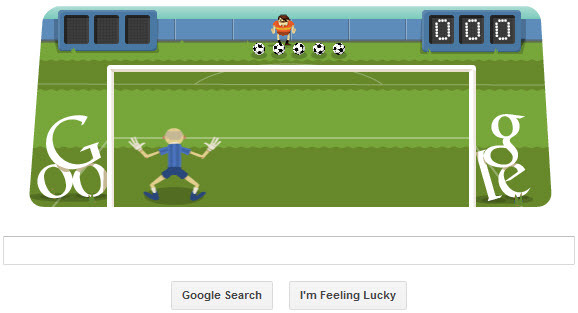 Google is celebrating 2012 london olympic with a new interactive London 2012 Football doodle on its homepage. Just click the blue play button and Use the left-right arrow keys to move left and right and use spacebar to jump. Association football has been included in every Olympiad except 1896 and 1932 as a men’s competition sport. Women’s football was added to the official programme in 1996.